Pigeon Forge’s museums and the nearby Great Smoky Mountains National Park offer playgrounds for student groups eager to learn about physics and nature. Located in the foothills of Tennessee’s Smoky Mountains and filled with Southern charm, Pigeon Forge has developed into a premier destination for student groups. Boasting engaging museums, thrilling amusement parks and natural beauty, the area is appealing to groups of many interests, particularly STEM (Science, Technology, Engineering and Math). From the physics of roller coasters to the biology of the natural world, students will be thoroughly engaged at any of these Pigeon Forge destinations. 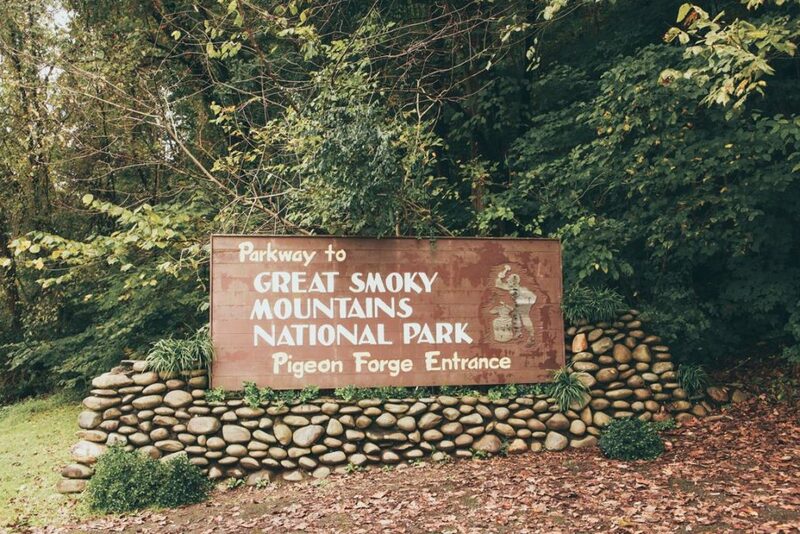 There is no admission fee to enter Great Smoky Mountains National Park. 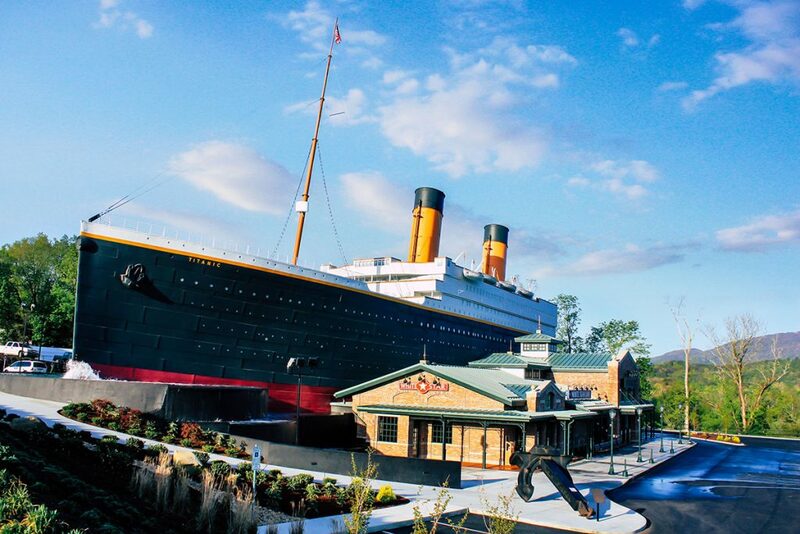 The largest permanent Titanic museum in the world explores the construction, voyage and tragic 1912 sinking of the famous vessel. “Passengers” will experience what it was like to walk the decks and hallways of the ship by passing through replicas of parlors, cabins and the Grand Staircase, and each visitor is given a boarding pass from a real Titanic passenger or crew member. Interactive and tactile activities will engage students of any age, who can learn how to send SOS distress signals, shovel coal in a boiler room and feel a 28-degree iceberg. Educators can also schedule crafted tours where historic reenactors greet students as they exit their bus, guide them through the ship and answer questions about early 20th century life. The museum also provides supplementary materials for school groups to place their Titanic Museum experience into a STEM context. The science packet contains lessons that focus on the ship’s buoyancy, the North Atlantic’s water temperature and the liquid physics of the sinking. For math teachers, displays throughout the museum will pair well with provided lessons that ask students to calculate the ship’s dimensions, speed and cargo load. America’s most-visited national park, Great Smoky Mountains National Park includes over 520,000 acres of old-growth forest, beautiful Appalachian ridges and hundreds of miles of hiking trails for your student group to explore. School groups touring without a guide are advised to drive through Cades Cove, a gorgeous valley filled with preserved cabins, churches and other buildings to tour. Educators looking for more structure should turn to the National Park Service’s education department. The group offers comprehensive lesson plans from preschool to university that allow students to experience the “World’s Largest Classroom” through the perspective of a naturalist. Among the park’s most popular programs is the Biodiversity Classroom. Tailored to middle school science students, the lesson pairs school groups with a park ranger to construct plots that will inventory the park’s biological elements and environmental conditions. Students will learn about ordering organisms by kingdom and phylum, the importance of environmental stewardship and how to operate a basic microscope. Another popular program is Water Quality Monitoring, where students will first meet a ranger at the park’s entrance to learn about safe sample collection before hiking to one of the Great Smoky Mountains’ many streams. Supervised participants will learn to detect pollution, proper levels of water alkalinity and the correct ratio of species. Founded by country music legend Dolly Parton, Dollywood theme park welcomes over three million guests in a typical season and offers thrill rides, musical productions and ample pavilion space for group meals. Students of every interest can enjoy the park, but teachers looking to add a STEM spin to their Dollywood experience should download the Science in the Park workbook. This material provides lesson plans for teachers that explain basic physics before putting the science into context on Dollywood’s many roller coasters. In the classroom, teachers can present Bernoulli’s Principle to explain flight as well as pitch, roll and yaw to explain basic ride movement. Once in the park, students will ride popular roller coasters such as Thunderhead and Wild Eagle—first for fun, then with a critical physics perspective honed in the classroom. Students are provided with the coasters’ track length, number of turns and top speed. Armed with a stopwatch and formulas, students then calculate G-forces and velocity at various places along the track. Students interested in animal science should also attend the Wings of America Bird Show. Hosted in the Wings of America Theater, the program showcases the incredible survival skills and physical strength of bald eagles, owls and vultures. Teachers can also register for a Birds of Prey experience, a more intimate presentation where American Eagle Foundation keepers discuss the majestic birds’ hunting abilities and take questions from the school-aged audience. 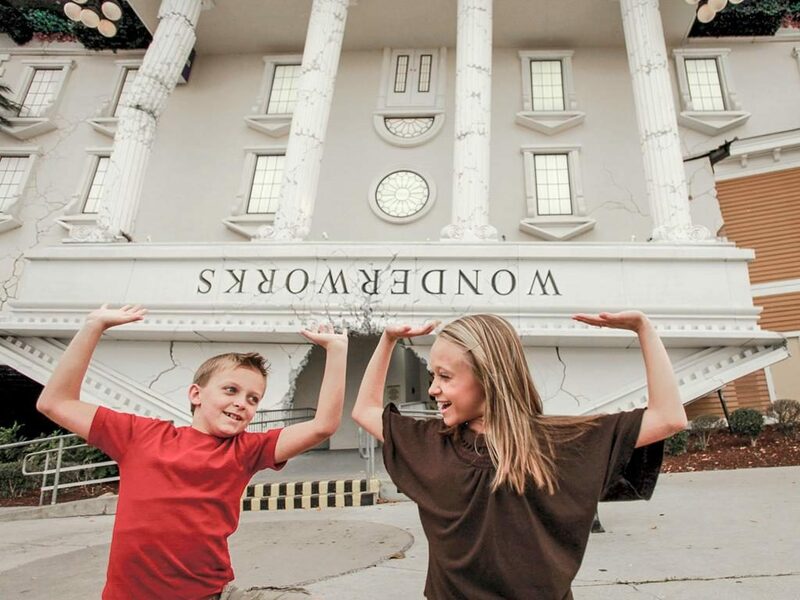 Billed as a 35,000-square-foot “edu-tainment” center, WonderWorks is an amusement park for the mind. Over 100 interactive exhibits are housed in a fictional top-secret laboratory that was located in the Bermuda Triangle before landing upside-down in Tennessee after an experiment gone awry. Students can explore the museum’s six “WonderZones” that follow themes like astronomy, physics and imagination. In the Far Out Gallery, visitors can learn about the science behind optical illusions and forensic fingerprint identification, while the Natural Disasters area includes a Tesla Coil, earthquake simulator and interactive Google Earth kiosk. Upon request, WonderWorks can provide teachers with science lesson plans to prepare students before their visit and science scavenger hunts to be completed on-site. Visitors are tasked with answering questions posed by various exhibits (such as “What was the name of America’s first man-in-space program?”) and reporting back to educators for a comprehensive STEM experience.